You need to be thinking beyond owned and earned channels in your content marketing programs. Enter native advertising, one of the hottest trends in marketing today. But where exactly does native advertising fit within the larger context of a content marketing strategy? It’s useful first to consider some of the biggest challenges facing marketers as it relates to owned and earned media. One truth is self-evident to content marketers: Traditional ads aren’t enough these days. With more than half of digital ads going unseen and more than 200 million people employing ad-blocking software, standard display units face an increasingly uphill battle when it comes to reaching and influencing consumers. With these statistics in mind, it’s no wonder that a look at Google Trends data over the past five years shows rising interest in both content marketing (blue) and native ads (red) as topics. That said, therein lies the problem. 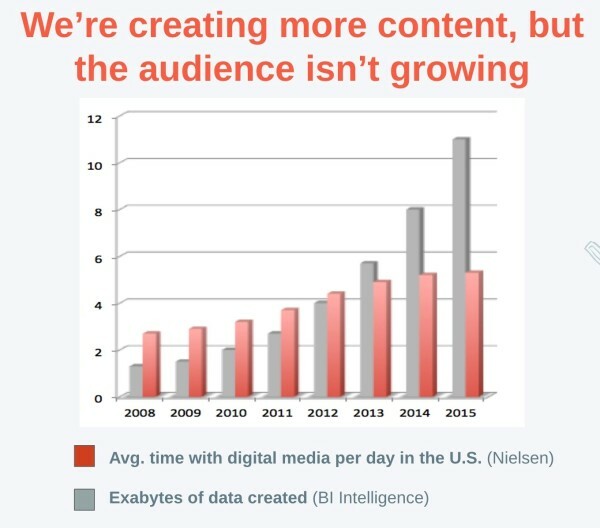 Marketers continue to create more and more content, but the audience looking to consume such content isn’t growing. It’s a basic issue of supply and demand. The 2016 Content Marketing Institute/MarketingProfs content marketing trends report found that 77% of B2C marketers planned to produce more content in 2016 than in 2015. But that added content is fighting for a limited chunk of consumer media attention. The content landscape is cluttered and the situation is only being exacerbated. As marketers turn to content marketing to help overcome some of the challenges associated with traditional ad buys, they’re finding that even a solid content creation strategy isn’t enough. Native advertising can be leveraged to overcome many of the hurdles facing content marketers today. As marketers know, even compelling, high-quality content can struggle to find an audience. But these days, more than 90% of publishers have native offerings, and those offerings are a great way to amplify the reach of the content you are producing. Native advertising serves as a valuable extension of your content marketing rather than a concept to be considered in isolation. In the traditional breakdown of media types, it falls in the paid category alongside paid social and search engine marketing. 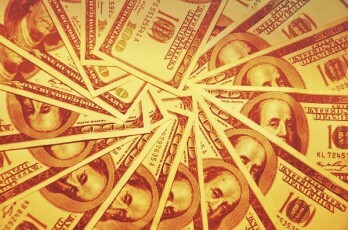 However, native’s paid-media status doesn’t mean your investment is in distribution alone. Rather, just like your owned and earned media, native content needs to be held to a high standard. It needs to inform, entertain, and engage. It needs to speak to people’s pain points, not go for the hard sell. You need to think about native content the way you would about any other piece of content you create. But, in this case, leveraging native channels for that content is going to guarantee placement and eyeballs in a way that owned and earned media cannot. Great content — including that used in native placements — requires an investment. You’ll want to ensure that your approach to its creation adheres to best practices. Prior to content creation, be sure to research your target audience and develop themes for your content that address their interests or pain points. 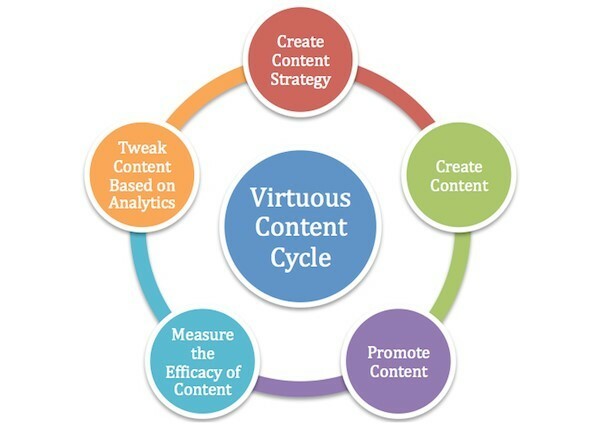 Furthermore, you want to get as much mileage out of every piece of content you create. For example, a white paper shouldn’t be just a white paper. It should be a tent-pole piece of content that can evolve into other executions, such as a blog series, webinar, or native article placements. Great content can live across many channels and continue to build on itself in the form of audience comments, reactions, and earned media. Incorporating native placements into a content marketing strategy takes this building process to the next level by going beyond a brand’s owned channels to find a bigger audience that is interested in the content you have to share. Marketers need to approach paid native-channel placements the same way they do the placement of content in their owned channels. You need to identify your audience and understand what they care about and — importantly — where to reach them. 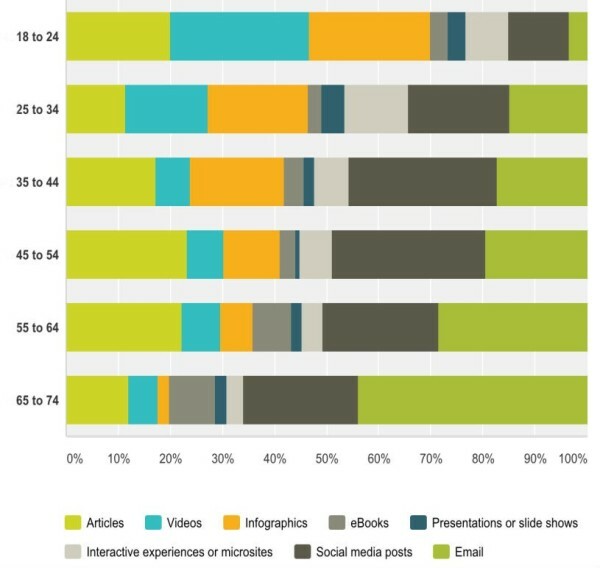 Different demographics prefer different content types. Consider this breakdown of favorite content by age that we uncovered in a recent survey (we surveyed 670 U.S. consumers, ages 18-74, about their consumption habits). The survey also brought good news — people are relatively receptive to branded content across channels. 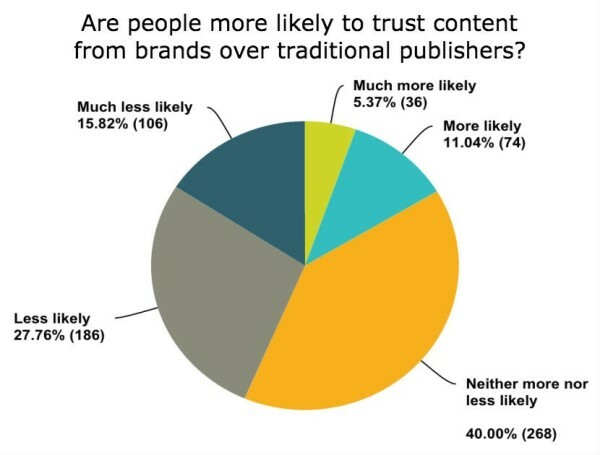 The responses indicated that most people give the same or more credibility to content from brand sources compared to content from traditional publishers. However, some consumers are still wary of your branded content. Thus, you need to be transparent about the brand relationship (and any paid status) associated with your content, and you need to deliver enough value to overcome any initial bias. Finally, don’t overlook the valuable role that native advertising can play in testing and refining your broader content marketing strategy. A lot of native advertising technologies enable relatively simple A/B testing with regard to elements like headlines, preview images, and other content components. You can easily leverage the guaranteed audiences behind paid placements to test out your content, discover what’s resonating, and feed those insights into your overall content marketing strategy. Native advertising can give your content legs that could never be achieved via owned and earned channels alone. Embrace it, invest in it, and leverage the insights gleaned from it to strengthen every element of your larger content marketing strategy. Want to beat your competitors at their own content marketing game? Steal some ideas from our 2016 Content Marketing Playbook. Ural Cebeci is the VP of marketing at ScribbleLive, the leading content marketing platform. Ural brings a wealth of marketing and strategy experience with more than 15 years of experience. Prior to ScribbleLive, Ural was the VP of marketing at Visually where he built the marketing team from ground up until its acquisition by ScribbleLive. He also worked as the Director of Marketing at Optimizely during the company's early growth stage, building and leading the product marketing, content marketing, and marketing operations teams. Before that, Ural headed up the small business marketing team at Skype and worked as a senior marketer at Microsoft. Ural received his MBA from the Wharton School and MS from Stanford University. Follow him on Twitter at @uralcebeci.